The US economy lost 125,000 jobs in June, more than economists had forecast, as thousands of temporary census jobs ended and private hiring grew less than expected. And though the unemployment rate unexpectedly fell to 9.5% from 9.7%, the lowest in a year, it was largely due to more people dropping out of the labor force. SO going back to school perhaps? Leaving the country? I dont know but a little more info would be nice? The report was the latest sign that the economic recovery may be “changing” faltering. “Overall what this does is it reinforces the market’s view that the U.S. recovery is losing steam,” said Greg Salvaggio, vice president of trading at Tempus Consulting in Washington. Obama spokesman Bill Burton on Monday defended Obama’s leisure activities amid some Republican criticism that Obama should not be scheduling fun time during the Gulf oil spill crisis. 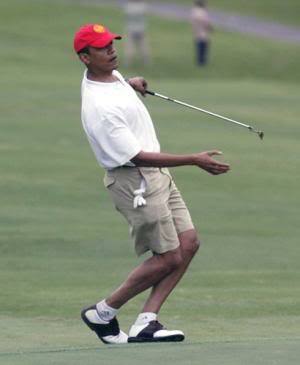 The president went golfing on Saturday afternoon after attending a baseball game Friday night. Deepwater Drilling to go on in the Gulf. A New Orleans federal judge lifted the six-month moratorium on deepwater drilling imposed by President Barack Obama following the largest oil spill in U.S. history. Drilling services shares jumped on the news. 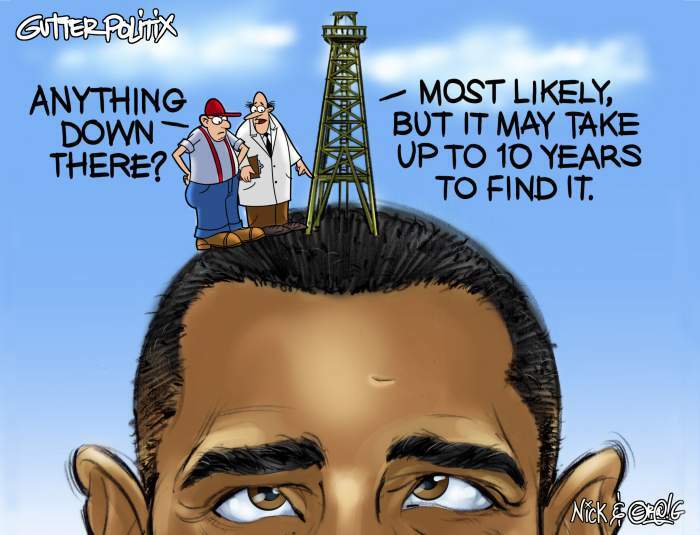 Obama temporarily halted all drilling in waters deeper than 500 feet on May 27 to give a presidential commission time to study improvements in the safety of offshore operations. More than a dozen Louisiana offshore service and supply companies sued U.S. regulators to lift the ban. The U.S. said it will appeal the decision. U.S. District Judge Martin Feldman today granted a preliminary injunction, halting the moratorium. He also “immediately prohibited” the U.S. from enforcing the ban. Government lawyers told Feldman that ban was based on findings in a U.S. report following the sinking of the Deepwater Horizon rig off the Louisiana coast in April. Considering the country is seeing one of its largest unemployment rates and the Gulf is still in recovery mode after Katrina etc, this is a sensible idea. We should focus on stopping the leak and then worry about what caused it, but the fact of the matter is, we may never know what caused it. No one would dare mention that perhaps it was human error and now that Human is no longer with us to tell us the story and there is no black box to find that will give us the answers. The only Fed member to speak up and say the US must fix its growing debt problems or risk a new financial crisis was Thomas Hoenig, president of the Federal Reserve Bank of Kansas City. Mr Hoenig said that rising debt was infringing on the central bank’s ability to fulfil its goals of maintaining price stability and long-term economic growth. “Stunning” deficit projections were putting political pressure on the Fed to keep interest rates low, infringing on its independence at the risk of inflation, he said. The US budget deficit is projected to be $8,000bn in the next decade. 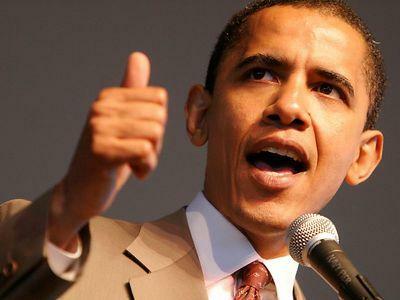 Barack Obama, US president, recently lifted the government’s borrowing authority to $14,300bn. O-man made a guest appearance in the White House press room Tuesday afternoon to brief reporters about his meeting with Democratic and Republican congressional leaders. Obama said he told House Minority Leader John Boehner (R-Ohio) that his core goals — lowering health-care costs for businesses and individuals and expanding coverage to the uninsured — remained non-negotiable. But Obama said he would consider GOP alternatives that accomplish the same results. He also said he would sign what he considered to be a less-than-perfect bill. 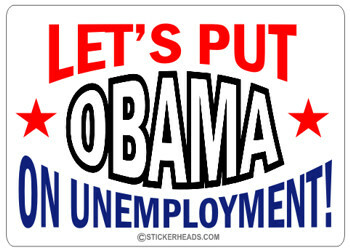 Yes, Yes…thats what we need, a less than perfect bill to go along side all the other less than perfect bills. 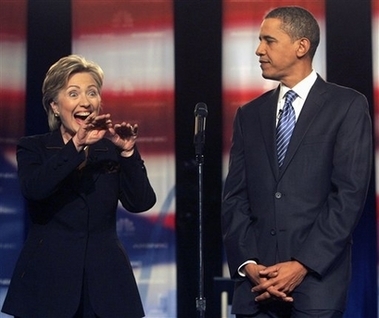 but before we get to where Mrs Ballbreaker Clinton was, lets fact check Obama last night, according to the A.P. THE FACTS: The anticipated savings from this proposal would amount to less than 1 percent of the deficit – and that’s if the president can persuade Congress to go along. Obama is a convert to the cause of broad spending freezes. In the presidential campaign, he criticized Republican opponent John McCain for suggesting one. “The problem with a spending freeze is you’re using a hatchet where you need a scalpel,” he said a month before the election. 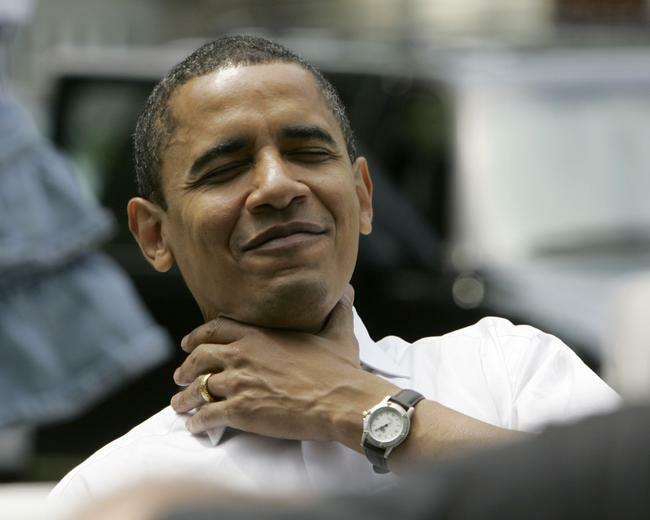 Now, Obama wants domestic spending held steady in most areas where the government can control year-to-year costs. The proposal is similar to McCain’s. THE FACTS: Any commission that Obama creates would be a weak substitute for what he really wanted – a commission created by Congress that could force lawmakers to consider unpopular remedies to reduce the debt, including curbing politically sensitive entitlements like Social Security and Medicare. That idea crashed in the Senate this week, defeated by equal numbers of Democrats and Republicans. Any commission set up by Obama alone would lack authority to force its recommendations before Congress, and would stand almost no chance of success. THE FACTS: The Democratic legislation now hanging in limbo on Capitol Hill aims to keep people with employer-sponsored coverage – the majority of Americans under age 65 – in the plans they already have. But Obama can’t guarantee people won’t see higher rates or fewer benefits in their existing plans. Because of elements such as new taxes on insurance companies, insurers could change what they offer or how much it costs. Moreover, Democrats have proposed a series of changes to the Medicare program for people 65 and older that would certainly pinch benefits enjoyed by some seniors. The Congressional Budget Office has predicted cuts for those enrolled in private Medicare Advantage plans. THE FACTS: Obama has limited the hiring of lobbyists for administration jobs, but the ban isn’t absolute; seven waivers from the ban have been granted to White House officials alone. Getting lobbyists to report every contact they make with the federal government would be difficult at best; Congress would have to change the law, and that’s unlikely to happen. And lobbyists already are subject to strict limits on political giving. Just like every other American, they’re limited to giving $2,400 per election to federal candidates, with an overall ceiling of $115,500 every two years. THE FACTS: The success of the Obama-pushed economic stimulus that Congress approved early last year has been an ongoing point of contention. In December, the administration reported that recipients of direct assistance from the government created or saved about 650,000 jobs. The number was based on self-reporting by recipients and some of the calculations were shown to be in error. 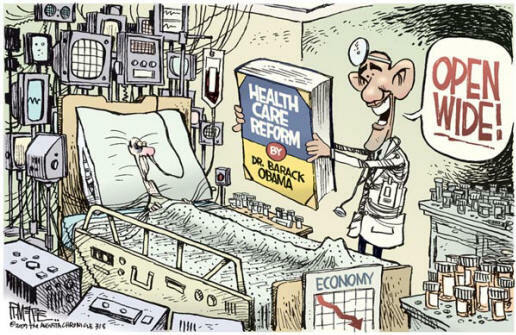 THE FACTS: Obama skipped past a broken promise from his campaign – to have the negotiations for health care legislation broadcast on C-SPAN “so that people can see who is making arguments on behalf of their constituents, and who are making arguments on behalf of the drug companies or the insurance companies.” Instead, Democrats in the White House and Congress have conducted the usual private negotiations, making multibillion-dollar deals with hospitals, pharmaceutical companies and other stakeholders behind closed doors. Nor has Obama lived up consistently to his pledge to ensure that legislation is posted online for five days before it’s acted upon. THE FACTS: Despite insisting early last year that they would complete the negotiations in time to avoid expiration of the 1991 Strategic Arms Reduction Treaty in early December, the U.S. and Russia failed to do so. And while officials say they think a deal on a new treaty is within reach, there has been no breakthrough. A new round of talks is set to start Monday. One important sticking point: disagreement over including missile defense issues in a new accord. If completed, the new deal may arguably be the farthest-reaching arms control treaty since the original 1991 agreement. An interim deal reached in 2002 did not include its own rules on verifying nuclear reductions. THE FACTS: It is an impossible claim to verify. Neither the Bush nor the Obama administration has published enemy body counts, particularly those targeted by armed drones in the Pakistan-Afghanistan border region. The pace of drone attacks has increased dramatically in the last 18 months, according to congressional officials briefed on the secret program. The answer was D…London at a conference. She asked O-man if that was okay and he said yes…you would only take away my time from the cameras anyway. Zero Hedge discussed a month ago the disastrous prospects of what would happen if the new proposal contemplated by the SEC, which would allow the suspension of redemptions from Money Market Funds, were to pass. Well, in a nearly unanimous vote, Money Market Funds now have the ability to suspend redemptions, courtesy of the SEC’s just passed 4-1 vote. This explains the negative rate on bills: at this point, should there be another meltdown, money market investors will not, repeat not, be able to withdraw their money purely on the whim of Mary Schapiro. As the SEC noted: “We understand that suspending redemptions may impose hardships on investors who rely on their ability to redeem shares.” Too bad investors’ hardships considerations ended up being completely irrelevant. The Senate on Tuesday rejected a plan backed by President Barack Obama to create a bipartisan task force to tackle the federal deficit this year, despite glaring new figures showing the enormity of the red-ink threat. The special deficit panel would have attempted to produce a plan combining tax increases and spending curbs to be voted on after the November elections. The measure went down because anti-tax Republicans joined in opposition with Democrats wary of being railroaded into cutting Social Security and Medicare. With Congress unwilling to go along, Obama will announce during Wednesday’s State of the Union address that he is establishing a similar panel by executive order, The New York Times reported late Tuesday on its Web site. They need to start somewhere. This one, albeit too little too late, I’m on O-mans side.